Exclusive Offer for Ayala Rewards Club members - join GolfPH now and get an amazing 50% off the regular GolfPH sign up fee! 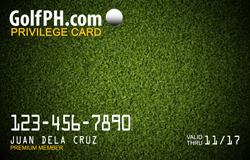 What is the GolfPH Privilege Card? The GolfPH Privilege Card is for all golfers who love playing in as many courses as possible without the usual high membership fees, green fees, and monthly dues. Playing access to over 60 private and public GolfPH partner courses locally! Green fee discounts of up to 60% in selected courses! Invitations to our exclusive networking events and tournaments! 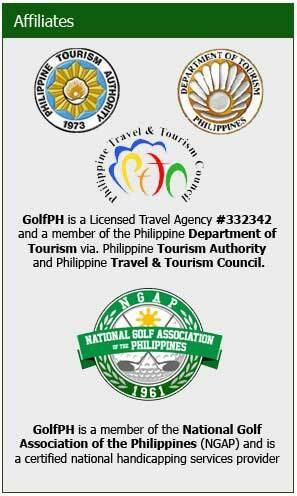 GolfPH is a member of the National Golfers Association of the Philippines (NGAP) and is registered with the Department of Tourism. Step 1: Choose a Course - After signing up, you will have access to our Membership Dashboard. Once there, you will be able to see a full list of our courses, our special rates and will be able to book your tee time reservations online. After submitting a tee time booking, your dedicated account rep will call the course, check to see if the tee time is available and confirm your booking via email. This step is Easy, Once your reservation is confirmed, all you have to do is arrive at the golf club, show them your membership card, pay for your green fees and play golf. We would like to invite you to become a card holder of the GolfPH discount card program. We are currently accepting applications for new members until we reach full capacity, Your membership starts the month that you sign up and ends a year later. Apply today while supplies last. Q: What Kind of Discounts Does GolfPH Members Get? A: Due to our contractual agreement with certain golf clubs and their membership association, we are not allowed to publish our rates to the public. However, typical discounts between courses can vary between 15-60% off published rates. 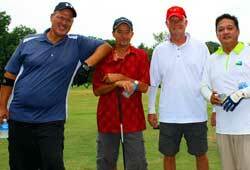 A: Besides the green fees that you pay to the courses, there are no monthly dues or commitments. You use your membership as you please whether you are golfing every day or playing twice a year. It's just one flat fee for the first year and a discounted maintenance fee every year after. Q: Does it cost the same much to renew when my 1 year is over? A: The regular renewal rate is 50 percent off the normal msrp membership rate. We contact you 1-2 months before your expiration date via email with renewal promo rates. A: Yes, if you have friends, family, or clients in town and they are not members, all you have to do is get a buddy pass. Please note that it's 750PHP for a buddy pass or 2250PHP for a 4 pack. 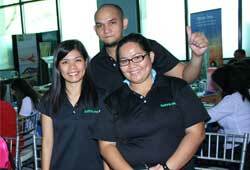 "GolfPH response to my request... is fast & within same day or 10 minutes during office hours. They can make booking for tee-times on most golf courses in Philippines, even if it is a member only golf club"
"The assistance with booking courses alone was worth the membership fee, any expat who has attempted to contact some of the local public courses will likely understand what I mean."